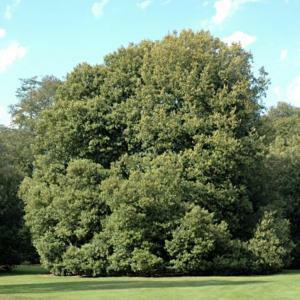 Dense, wide spreading, ultimately large evergreen tree. 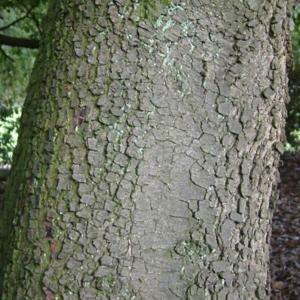 Glossy dark green leaves of variable shape, grey-hairy underneath. Young shoots and leaves are silvery grey-green. 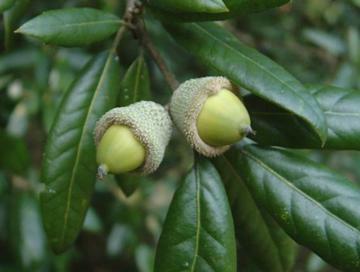 Greenish-yellow flowers in early summer, followed by rounded acorns, about 12mm long. Any well drained soil in sun or shade. Tolerant of coastal exposure. Can grow to about 7m. in 10 years. Can be clipped to form a hedge. Magnificent parkland tree. Sometime planted along roadsides and very good for coastal planting or as a wind resistant hedge.